Well here’s something rather special from Chanel; tiny, perfectly-formed glass flacons containing Les Exclusifs fragrances in their very purest form. Not only are the bottles themselves absolutely beautiful, with their little glass stoppers tied on with thread and dainty black seals decorating the necks, the concentrated contents of the bottles are the kind of fragrance nectar that make collectors and enthusiasts weak at the knees. It’s the stuff of beauty dreams; holding these dolly-sized scent bottles transports me straight into a cluttered Parisian parfumerie, with thousands of glass ingredient jars lining the walls and benches crammed with simmering pots and bowlfuls of steeping exotic flower petals. 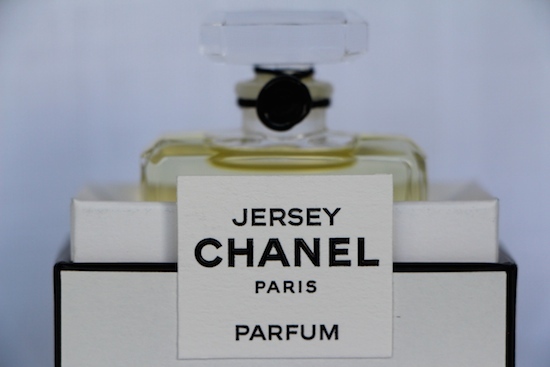 Beige and Jersey existed already in Chanel’s Les Exlusifs line-up as Eau de Toilettes; the 15ml versions are a new and very special addition. Les Exclusifs is a prestigious, niche range that some of you may have already tried – you can find the full set at Chanel’s fragrance and fashion boutiques – but the pure parfums take things one step further, I think. The scents seem to be almost tangible – there’s nothing clouding the notes, there’s none of the initial sharpness that you sometimes get with an Eau de Toilette, or even with a parfum – there’s a real presence, if that makes any sense. I want to say that the fragrance almost “sings” on your skin, but I’m afraid I’d sound overly dramatic. My favourite pure perfume (there are three, including 1932 which isn’t pictured) has to be Beige. An odd name for a fine fragrance, in many ways, but somehow very befitting of the whole Chanel philosophy. It’s simple and chic, a tone that we take for granted, but it can be celebrated and elevated into something exquisite and desirable. 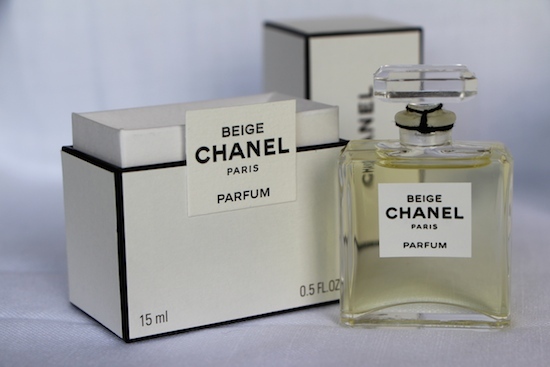 Beige is pretty and extremely feminine; the notes say “a bouquet of Hawthorn, Freesia and Frangipani, with shimmering hints of Honey” and yes, I get all that. It’s warm, but it’s quite delicate, really – there’s no massive floral bombardment or sickening, exotic headiness. I love it, and it’s absolutely not my usual thing. A word on longevity; don’t expect this scent to come off in a hurry. I’m still faintly Beige after two baths, one of which involved a very fragrant shower oil. 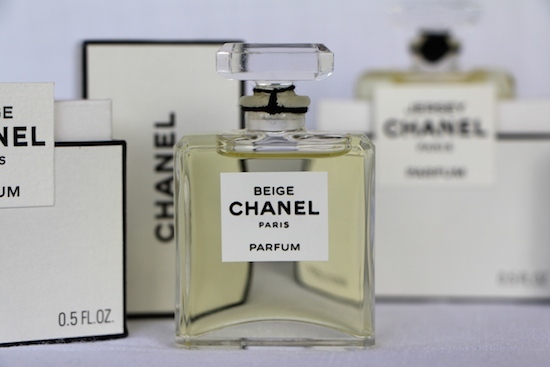 I really think that these little pure editions are perfect gifts for the serious Chanel lover or dedicated perfume enthusiast; it’s not so often that you get to experience scent in such an unadulterated form. Total decadence. Everything about them is precious; even the boxes are like fragile museum artefacts, forcing you to un-package the perfume slowly and carefully. I simply love them. 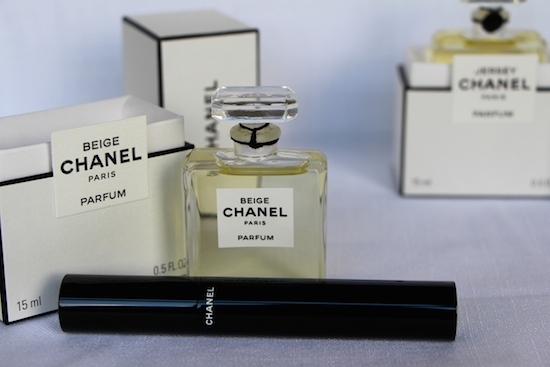 I’ve popped a mascara into the photograph above to show you just how small and dainty the bottles actually are, but if you get a chance to go and take a look at Les Exclusifs then do; you can find a list of stockists on the Chanel website here. Each 15ml pure parfum costs €185/£155.